After several months of successful work, GESAB solutions for command centers are having a great response in the United States, due to the collaboration with our partner in that country. The partner isFountainhead Design & Consulting, LLC, a company that has earned a great reputation in the U.S. command centers market, thanks to its experience, expertise and constant pursuit of excellence. The collaboration between GESAB and Fountainhead Design & Consulting, LLC began in May, last year, and since then both companies have collaborated to launch several projects in an industry as demanding and strategic as the military. 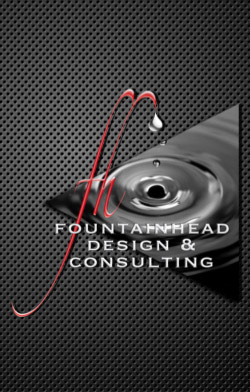 Fountainhead Design & Consulting, LLC has its headquarters in Atlanta (Georgia), where it is launching an ambitious showroom with GESAB solutions. Moreover, the company run by CEO and founder Jamie Clark works, at the same time, at another facility in Canada to cover all the North American geography. The goals and expectations for 2013 are ambitious for the worlds biggest market: the new control room furniture ADVANTIS NEW GENERATION is already attractive to many customers, who see their versatility, technology and design the perfect solution for 24×7 operating environments. The new ADVANTIS NG will be the ultimate argument to carry GESAB and Fountainhead Design & Consulting, LLC to differentiate themselves from their competitors in the field, to be elected in the most complex tenders. The world premiere of ADVANTIS NEW GENERATION, the most advanced and technological control room console ever created by GESAB, will take place at the prestigious Expo Security 2013, in Mexico City, which will be held on April 23 to 25.